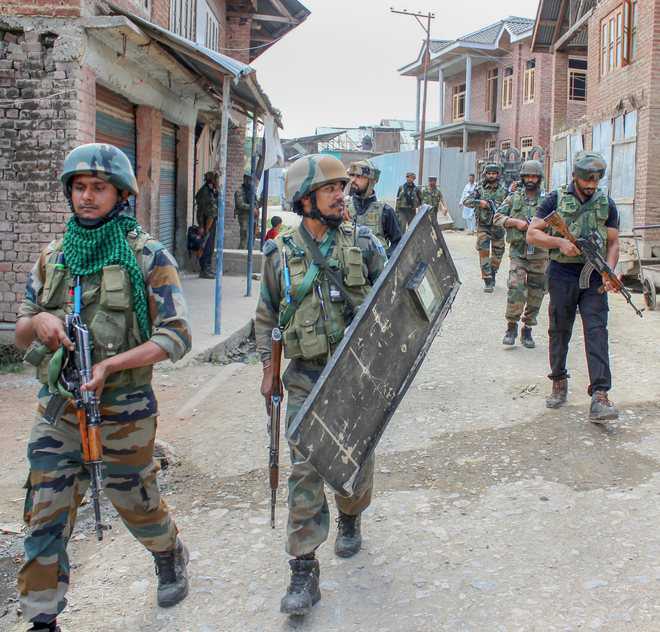 Srinagar, September 04 (KMS): In occupied Kashmir, complete shutdown is being observed in south Kashmir’s Pulwama district, today, against the killing of a civilian, Fayaz Ahmed Wani, by the Indian troops during a cordon and search operation in Chew Kalan area of the district. All shops, business establishments and government offices are closed while traffic is off the road. The class-work in all the higher secondary schools in Pulwama town, Rajpora and Kakapora areas of the district has been suspended. An official said that class work in Degree College for boys and women will also remain suspended, today. The education institutions were closed amid apprehensions of widespread protests by the students against the killing of Fayaz Ahmed Wani. Meanwhile, the occupation authorities, today, suspended the train services between Srinagar and Banihal in view of protest against the killing of the civilian. On the other hand, Indian police arrested Hurriyat leader Mukhtar Ahmad Waza along with party activists in Sangam area of Bijbehra when he was on his way to Srinagar to participate in a peaceful protest.